In Rione Sanità, a Naples’neighbourhood, every day 2.3 tonnes of cardboard are collected. An excellent result thanks not only to the collaboration between citizens and retailers but above all to having been able to use recycling as an opportunity for social promotion and job creation. Now the idea is to transfer this know-how to create a model to be exported to the rest of the city, and beyond. Rione Sanità’s urban and social topography is indeed complex. “We use a small vehicle to be able to reach all areas, with 6 employees, 6 days a week”, Capace continues. 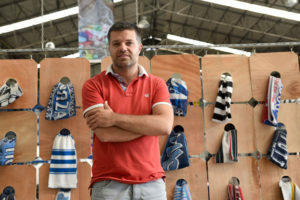 “With these restrictions, we have to unload six times a day at the collection centre, but we collect almost exclusively clean and top quality cardboard, especially thanks to citizens and retailers’ great collaboration.” And this collaboration, crucial for the success of this initiative, is not taken for granted and is made possible by a mix of social rather than technical elements. Indeed, the cardboard collection project was created after years of mishaps and changes of direction in the waste management front. In the 1990’s, waste management was outsourced by municipality-owned ASIA and was later internalized by De Magistris Council to check scandals and bad management of the service. Early in the 21st century, this led to out-of-control waste fires in the city. On this basis, it is understandable that citizens’ confidence for sustainable waste management was in reality minimal. 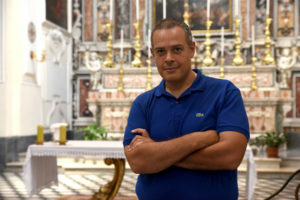 “In summer 2012, I got a telephone call from Luca Meldolesi, a professor of economics at Università Federico II in Naples, who after a meeting with Marco Vitale, a business economist, and Carlo Montalbetti, Comieco CEO, told me that problems in Naples were severe and that cardboard collection was even decreasing” Paolo Caputo says, a business economist who together with Roberto Celentano, a development economist, promoted the experiment. “So, we started working, bearing in mind that in a difficult city such as Naples it is necessary to create some kind of concurrence of interests amongst citizens that also offers economic implications. That is, retailers or citizens have percentage in keeping the city clean while other citizens have percentage in transforming the solution to this problem into job opportunities.” And it was exactly a grassroots network that enabled the cardboard collection project to take off. In just a few months, the cardboard collection experience in Rione Sanità highlighted a lot of positive signals and potential for this method and the top echelons of the Municipality got involved. Tommaso Sodano, as deputy mayor, created a call for tenders to expand Rione Sanità’s experiment to 675,000 citizens in Naples, that is 65% of the Neapolitan territory. The challenge is to use a recycling experiment to create a model to be adopted in the whole city and beyond. Ambiente Solidale took part in the call for tenders in partnership with Cooperativa Arcobaleno from Turin. The aim is to export the know-how developed in Rione Sanità to improve cardboard collection and using recycling as a means of social promotion. 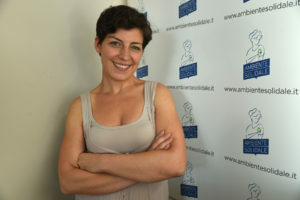 A new model to find a connection between the environment and social protection, two aspects that in Italy still have great difficulties even just to communicate with each other.